It seems to bring back to life the hours after September 11th. Now in Paris twelve journalists are dead at the hands of two murderers shouting "Allahu Akbar." How it is possible to shout something like this while killing people is a mystery. Maybe they do it just for this reason: to stain the name of Islam. The real offense against the Prophet Muhammad (pbuh) was committed by those two crazy killers. Within twenty-four hours rudimentary bombs have already been set off at mosques in France. In Italy, the Northern League Party has already requested that permission be revoked to build the first mosque in the city. I did not want to read more, but I imagine there are reactions against places of worship and Muslim citizens a little everywhere in Europe. But even these considerations appear too superficial. There is a sort of banality of evil, as Hannah Arendt has written about the life of a Nazi official in charge of deportations to the death camps. The fact is that it's been almost fifteen years since the Twin Towers. And history seems to repeat itself. Innocent people die. Terrorists commit incredible acts in broad daylight. The entire Islamic community is put on trial. These years have not been pleasant. Many European Muslims found themselves living a concealed existence. Hiding their faith. Trying to live a quiet life and avoid confrontation with the public scene. The latter is becoming ever more populated by fundamentalist groups and Salafists, by ignorant commentators and Islamophobic movements. These times would require a strong reaction from the Muslim community, a concrete stance against radical fundamentalism. Not only against terrorist groups, but also against those organizations that move on a plane ideologically close to fundamentalism and Salafism. In 2001, I was one of the first to write that there would be no possibility of agreement with these groups. Unfortunately I must say my predictions have all come true. The Arab Spring was neutralized by the failure of the Muslim Brotherhood. Europe was invaded by Salafis, proselytizing in the suburbs among the marginalized youth in search of cheap ideologies. The situation in Italy is emblematic. The Grand Mosque of Rome, which should coordinate Islam in Italy, is in fact blocked for twenty years. Frozen by sterile skirmishes of State diplomats who sit on its board of directors. The Muslim Brotherhood open their mosques, but live apart from the surrounding world, immersed in their utopia of an organization-universe. For this reason here in Italy we have decided to spontaneously create a Committee. At first open only to Italians, not out of some kind of nationalism, but to avoid exposing ourselves from the start to the problems of the countries of North Africa and the Middle East. A Committee that includes Muslim representatives, with a curriculum that puts them in a position to do something truly good for the community. What should the Muslims in Europe do? Good question. Maybe we should stop feeling sorry for ourselves. Maybe we should take on our shoulders the responsibility of being true witnesses to the example of the Prophet Muhammad (pbuh). In recent years I have written a lot. A novel about the life of the Prophet and one on Islamic medicine. An essay on consumerism and culture. But this is not enough. For this reason here in Italy we have decided to spontaneously create a Committee. At first open only to Italians, not out of some kind of nationalism, but to avoid exposing ourselves from the start to the problems of the countries of North Africa and the Middle East. A Committee that includes Muslim representatives, with a curriculum that puts them in a position to do something truly good for the community. It is useless to say, "We are all Muslims." This is not true. The Salafi fundamentalists are a world apart. It is from within their ideology that the terrorists of today and tomorrow can come. If State organizations do not have the courage to do this, we must do it ourselves. Simple Muslims: intellectuals, writers, journalists, doctors, lawyers, young men of good will. If I must have a hope, then it resides in prayer and in the mercy of Allah. But also in imagining that many committees like ours will arise in other places, in Italy and in Europe. And that we can cooperate together. To do all that which so far no one has ever done. From religious training to job training, to care for the poor and for the sick. From the promotion of Islamic culture, to literature and art festivals. Where will we find the time and the money to do all this? I do not know, and still do not know. But we must do it. Even for those poor twelve French journalists. And for all the innocent victims of forgotten wars in Syria and Iraq. To uphold their memory. To avoid that their deaths be in vain. 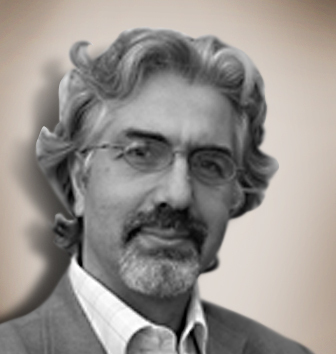 Ahmad Vincenzo was born in Naples in 1961 and chose to enter Islam in the mosque of Rome in 1990 after a journey of long and in-depth religious research. Vincenzo, who is considered to be a leading representative of Italian Muslims, lives in Milan and is one of the founders of the Intellettuali Musulmani Italiani (Italian Muslim Intellectuals). Vincenzo gave lessons of Islamic law at Federico 2nd University in Naples and now is professor of sociology in the Fine Arts Academy of Catania. Vincenzo's book Il Libro Disceso Dal Cielo, which was translated into Turkish as "Yesrib'de Bahar" (Spring in Yathrib) describes the life of Prophet Muhammad in literary language; the book has also been translated into German under the title Das buch das vom Himmel kam. Vincenzo has also published other works entitled Islam, l'altra civilita (Islam, the other civilization) and more recently New Ritual Society (consumerism and culture in contemporary society) and Islamic medical thriller Sifaci, Sicila Tatulasi (Timas). Please type '637' into this field. Reacting to a media story is hardly guidance especially when it just repeats the same knee jerk reaction to every other event an academic has had in the last decade. He didn't say muhsin or wali or prophet he simply said believer, if your sense of direction comes from the world media then you cant direct anyone to anything in religion because your not connected with Allah. This hadith is the hard reality of what it means to be a muimin, which is less than a muhsin and wali in terms of Iman and Ihsan, this is the real standards of islam in our past. i thank you as a muslim for taking a sensible and sensitive stand regarding the needless and horrific killing of the 12 French cartoonists. I also appreciate your founding of the committee....its time we have true inter-faith dialogues across the globe. Time for real soul-searching. Isn't it entirely possible in our times to live in a harmonious world, accepting and appreciating the wonderful diversity of people and beliefs God has created, so that we come to know one another? Wouldn't it have been the easiest thing for God to create us all as identical clones? There's a reason why God didn't do that. I am deeply moved by all who are doing whatever they can to stem the tide of hatred and narrow thinking and extremism and all the other isms that threaten to tear the human race and our wonderful planet apart. Ahmad Vincenzo was born in Naples in 1961 and chose to enter Islam in the presence of Sheikh Abdul Wahid Pallavicini in 1990 after a journey of long and in-depth religious research. Vincenzo, who is considered to be a leading representative of Italian Muslims, lives in Milan and is one of the founders of the Intellettuali Musulmani Italiani (Italian Muslim Intellectuals). Vincenzo continues to give lessons at Frederico 2nd University in Naples. Vincenzo's book Il Libro Disceso Dal Cielo, which was translated into Turkish as "Yesrib'de Bahar" (Spring in Yathrib) describes the life of Prophet Muhammad in literary language; the book has also been translated into German under the title Das buch das vom Himmel kam. Vincenzo has also published another work entitled Islam, l'atra civilita (Islam, the other civilization).